Hello and welcome to a rather late edition of In My Mailbox. As always, this meme is hosted by the lovely Kristi of The Story Siren, in which people share the books that have come into their homes over the past week. These are the books that I recieved this week. All books are either bought new, sent via the publisher or author, bought in charity shops, swapped using a book swapping website or borrowed/gifted by friends or other book bloggers. I'm not usually a fan of books about the fey or fairies, but I was convinced to read this one as it's been described as very addictive reading. And addictive reading always sounds like a good thing. Anna and the French Kiss by Stephanie Perkins -Anna is looking forward to her senior year in Atlanta, where she has a great job, a loyal best friend, and a crush on the verge of becoming more. Which is why she is less than thrilled about being shipped off to boarding school in Paris—until she meets Étienne St. Claire: perfect, Parisian (and English and American, which makes for a swoon-worthy accent), and utterly irresistible. The only problem is that he's taken, and Anna might be, too, if anything comes of her almost-relationship back home. This one is one that everyone's talking about! I haven't heard of a single negative thing said about this book so far and I couldn't be more excited to read it. Anna and the French Kiss has been chosen as February's book club choice for the online group I moderate, and I hope it'll be the perfect book to read for a romantic Valentine's Day! 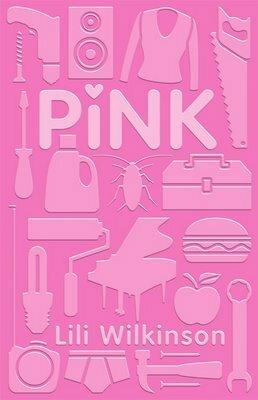 Pink by Lili Wilkinson - "The pink jumper was practically glowing in my grey bedroom. It was like a tiny bit of Dorothy's Oz in boring old black-and-white Kansas. Pink was for girls." But while she's busy trying to fit in -- with Chloe, with Alexis and her Pastel friends, even with the misfits in the stage crew -- Ava fails to notice that her shiny reinvented life is far more fragile than she imagined. I can't really recall the first time I'd heard of this one. I'm sure it was another YA book blogger, only I don't remember which one. The title, the story and the cover have stuck with me though and this is another book that I'm super excited to read, and soon. I'm always intrigued to read more about India. Especially as both my children are half-Indian, I feel like it should be a subject that I'm knowledgeable in. Something of their history and culture. Plus India just fascinates me. I have read some books set around India during times of political upheaval and they've been some of my favourite ever books, so I'm really looking forward to reading something from a YA perspective. 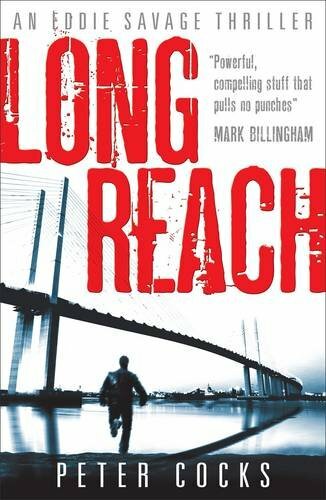 You know, I don't normally like reading crime or thriller books, but the sound of this one really appeals to me. I do love gritty and a really fast-paced. I seem to really enjoy male main characters and as long as the characterisation in this one is quite good, I think I'll really love it. 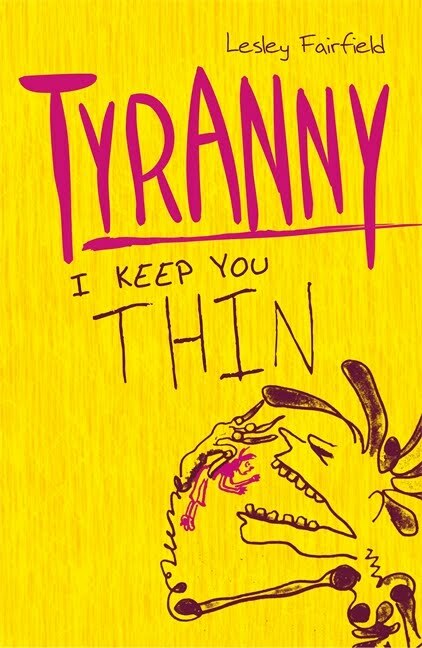 Tyranny by Lesley Fairfield -In Tyranny, brisk, spare text and illustrations that deal head-on with anorexia propel the reader along on Anna’s journey as she falls prey to the eating disorder, personified as her tormentor, Tyranny. The novel starts with a single question: “How did I get here?” The answer lies in the pages that follow, and it’s far from simple. Pressured by media, friends, the workplace, personal relationships, and fashion trends, Anna descends into a seemingly unending cycle of misery. And whenever she tries to climb out of the abyss, her own personal demon, Tyranny, is there to push her back in. The contest seems uneven, and it might be except for one thing: Anna’s strength of character has given rise to her deadly enemy. Ironically, it is that same strength of character that has the ultimate power to save her from the ravages of Tyranny. Brilliantly and realistically presented, Tyranny is a must-read for anyone looking for a better understanding of eating disorders and for everyone looking for a compelling page-turner that is truly a story of triumph and hope. And that's it for me this week. I'm hoping that next week is particularly busy for my postman, delivering parcels and such. For now, I have these wonderful books to keep me company. Have you read any of them? Where should I start? Which books did you recieve this past week? I haven't read any of these; I'm currently trying out a scifi book by an author I 'met' on Goodreads! I can't wait to read Anna! OneMore Page - Oh, happy early birthday! And good luck acquiring the books you really want! I don't consider myself a fan of Fae stories either. Or I certainly didn't this time last year. But The Iron King is one of several that have won me over in the past 7 or 8 months. I really liked it, but it was book 2 that really won me over and I was dying for book 3! Now I'm dying for The Iron Knight, book 4. So hopefully you'll enjoy it too! You've got some wonderful books this week. 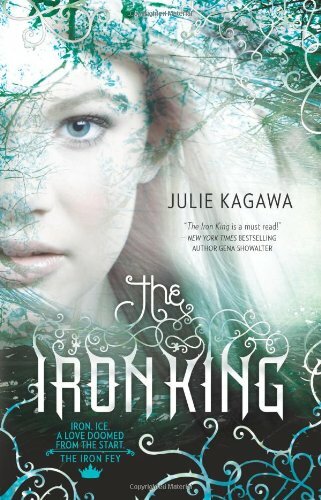 I've also recently purchased The Iron King and am really looking forward to reading it as I adore fairies :D Also dying to get Anna and the French Kiss because I've heard nothing but fabulous things about it! Hope you enjoy your reads this week! Cem - That is really good news. Every book I've read so far about fairies makes me cringe just a little bit (Tithe by Holly Black, the Melissa Marr books, some others I can't think of) But I've just heard TOO many good things about this series. I do really hope I enjoy it like you. Tammy - Oh I know, I'm really trying my best read some review books before I get to Anna and the French Kiss, but it's top of my pile.. after at least three more review books. I can do it! I think I am going to have to add Anna and the French Kiss to my library request list! Heard nothing but good about it! Marg - I'm reading at the moment. Only 50 pages in and I've already giggled at least 6 times. Seriously good. You must read it.